Looking for a nice, quality pearl white metallic paper you can use for your project? You do not have to go anywhere else! 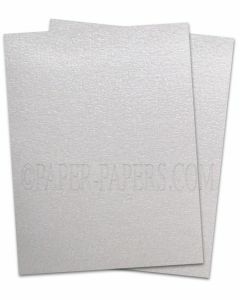 Here, at PaperPapers you will find the most popular options of white shimmer paper to choose from. It does not matter what kind of project you have in mind, if you are after a paper product that can make the end-result of your project look more unique, you only need to choose from these amazing products. Make your next project shine by throwing a little shimmer into the mix! At PaperPapers, we offer white pearl white metallic papers that feature the ability to bring subtle, but attention-catching finish to your design or artworks. It is part of our popular shimmer-metallic paper lines, which is known for offering beauty in a visually and tactile manner. The paper has shimmer/metallic on front and back. It is smooth to the touch and shimmery to the eyes. This particular pearl white metallic paper features the ability to bring that subtle, but attention-grabbing shimmer to your design. It is under Shine Shimmer Paper line which is known for the specific features that it offers... beauty that is shown both in a visual and tactile manner. The paper is smooth to the touch and shimmery to the eyes. Specifically, this Pearl White color is a pure white shimmer and is offered in 81lb Text (which feels like a nice letterhead thickness) and 3 different cardstock weights. 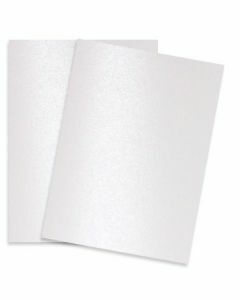 Our card stock selections for this white shimmer are: 92lb Cover, 107lb Cover and 137lb Cover, making this paper one of our most versatile selections. The shimmering appearance of our pearl white shimmer cardstock remains noticeable even if it undergoes print processes. 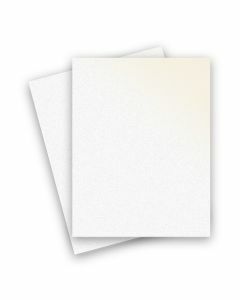 Therefore, you can guarantee that you will truly create a unique work with this white pearl paper once your project is completed. The paper is also offering that rich luminous effect. This is made possible through the combined use of organic pigments and natural minerals. 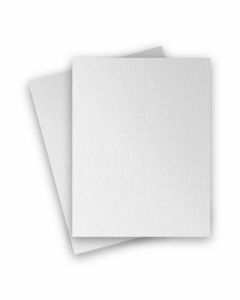 Another good thing about this white shimmer paper option is it can be recycled and it is biodegradable, free of acid, elemental chlorine, and lignin. This paper is made without foils or metals. 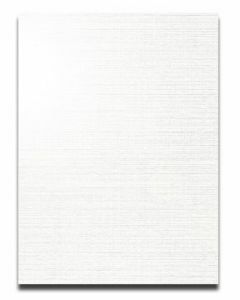 All 3 of our pure white shimmer papers have virtually the same 'whiteness' - the varying appeal may be the thickness or finish, depending on the demands of your intended project. Pearl White, Ice Silver, and Crystal; when these 3 white shimmers are reflecting light, they still maintain their pure white shimmer which is important to know if coordinating with accent colors. Ice Gold shows a subtle hue of gold when reflecting the light. Ice Silver is a bright white metallic with a 'silver' cast - it appears almost completely white metallic. If you desire to have a white metallic with a gold hue, then look for ICE GOLD - this color can pick up a gold cast if light hits it a certain way. This metallic paper belongs under the Curious Collection offering a unique sheared metal and shimmering iridescence look. The paper itself has that sparkling surface displaying its luminescent sheen. Curious Metallics shimmering paper is available in a range of shades, and this cool white Ice Silver color is one of our favorites. It is made from elemental pulp that is chlorine-free, acid-free, made from naturally-occurring pigments and offers great lightfast properties. Need more info about Curious Ice Silver? We look forward to serving you. The paper line is a unique variety of metallic papers named after precious stones, so Crystal is sure to exhibit the beauty of White Shimmer. Stardream is machine-made in Italy with color on both sides of the paper. The paper represents a complete selection of the most popular shades of colors as well as tones ranging from dark to light. This metallic paper is not only unique, but serves as an ideal option for projects intended to capture attention. Crystal is available as 105lb Cover which is a nice cardstock thickness and also you can get Crystal in 80lb Text which feels like a nice quality letterhead paper. Important to note that Stardream Metallic Papers do not work with ink-jet printing, they have a tendency to stay wet too long causing the ink to smear, so be sure to only print with dry-toner printers.